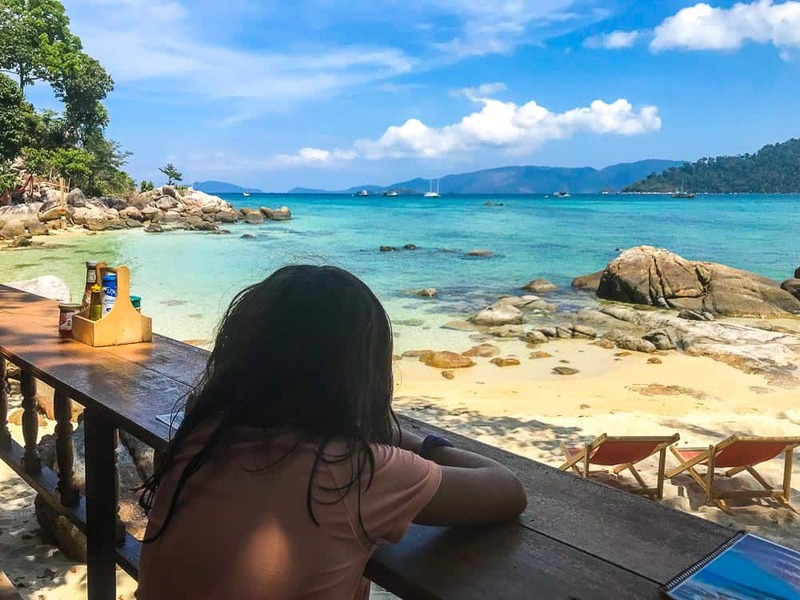 Thailand’s Koh Lipe Island makes for the perfect family island getaway. 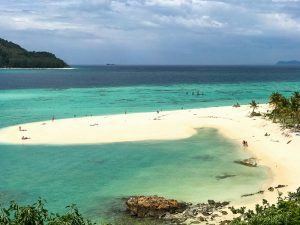 This small Thai island is surrounded by gorgeous post card perfect beaches, brightly coloured turquoise waters and spectacular snorkelling and scuba diving. The island is slow paced, and the atmosphere is chilled out making for a fantastic setting for a perfect relaxed family holiday. 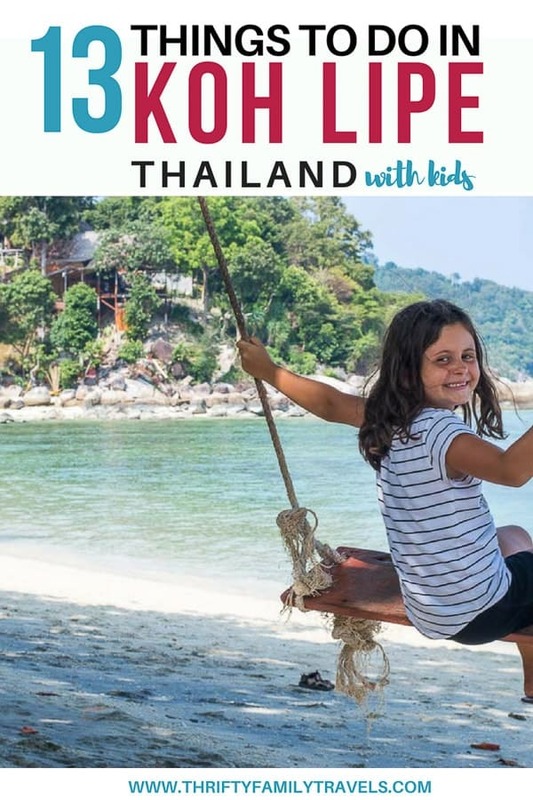 Things to do in Koh Lipe generally include families taking it easy, spending most of their days lounging by their hotel’s pool, swimming in the warm crystal ocean waters, spotting colourful tropical fish or even hiring a kayak to explore the island. For those that need a little more action, despite being a small island, there is still a decent amount of good Thai restaurants, bars, massage parlours and shopping for those so inclined. You can also join a boat tour group or hire your own private boat to explore nearby islands. 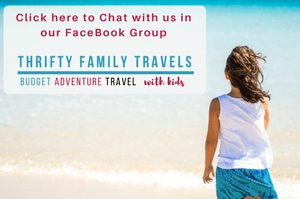 If you’re considering Koh Lipe for your next family holiday, then this post is for you! 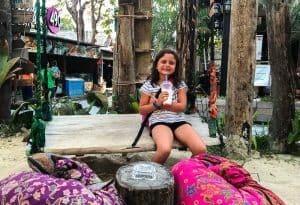 This is a complete family Koh Lipe guide including how to get to Koh Lipe, which is the best beach to base yourself, things to do in Koh Lipe and getting around Koh Lipe. Everything you will need to have a wonderful time on this tropical island paradise. 1 Where is Koh Lipe? 9 Want to Continue your Island Hopping Trip? 10 You have Successfully Subscribed! Ok so where is Kop Lipe? Koh Lipe is a small island located in southern Thailand on the outskirts of the Tarutao National Marine Park near the Malaysian border. 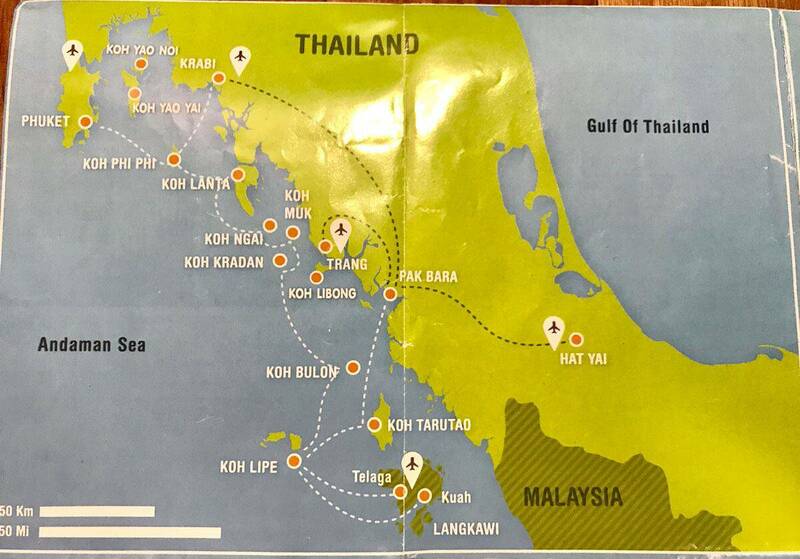 Koh Lipe is 60 km from the Thai mainland and even closer to the Malaysia mainland being only 30 kms away. 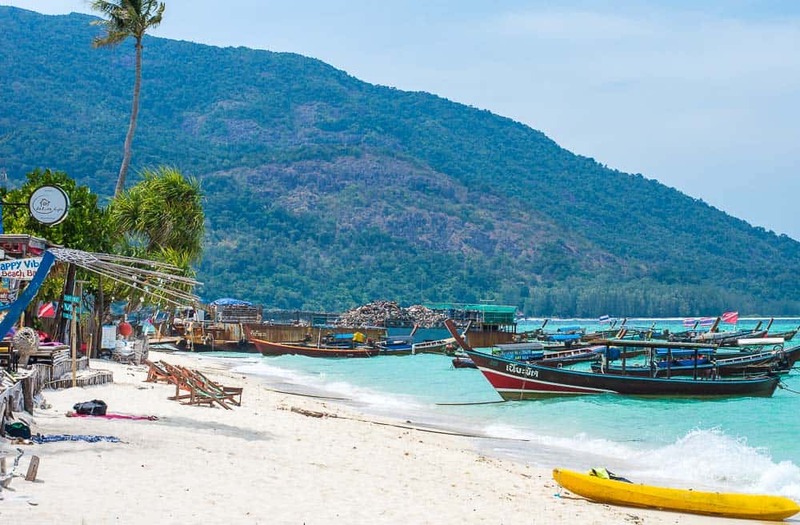 The best time to visit Koh Lipe is pretty much year round. Being a tropical island, the temperature doesn’t change too much from season to season. The average day time high temperate being around 31-34°C and nights getting down to an average of 23°C. Koh Lipe has a tropical monsoon climate which means it only has two seasons : wet and dry. Dry Season: Between the months of November through to March, you can expect warm weather, next to no rain and calm seas perfect for swimming. This is also high season, so expect more tourists and higher accommodation prices. Wet Season: The months of April to October are considered the rainy season, however this shouldn’t put you off coming to Koh Lipe as the rain is short lived, no more than an hour or so. Its fairly rare that you will have an entire day of rain and you will be rewarded with less tourists and cheaper prices. However some of the ferries will not be operating during this time so allow for extra time to arrive. 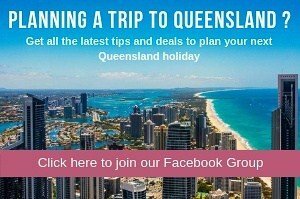 Need help packing for Thailand? 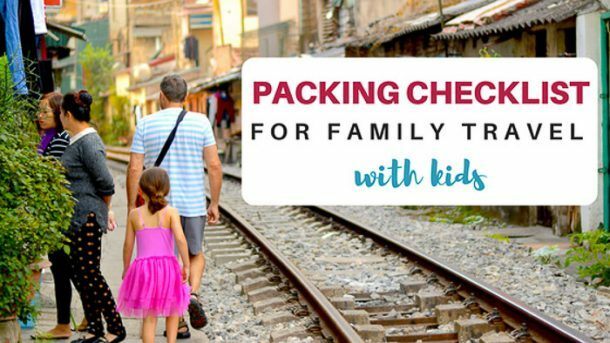 Click here for our Thai packing tips. 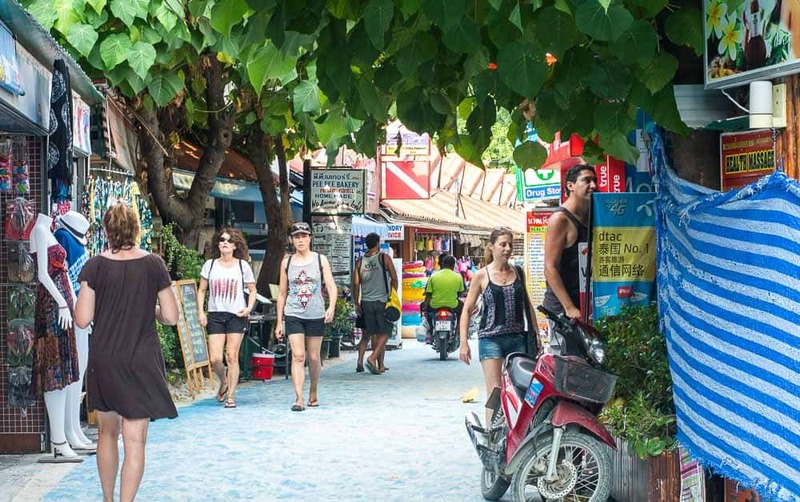 Koh Lipe is a tiny island made up of three main beaches and a long pedestrian strip down the middle called Walking Street. The three main beaches are Pattaya, Sunrise and Sunset. 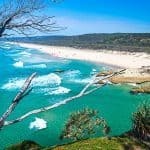 Each beach is unique in its own way and if you can I’d recommend staying at least two different ones during your stay for a different feel. The longest and busiest beach, Pattaya Beach is the entry point to the island. Despite busy Pattaya is absolutely stunning – white powdery sandy beach, coconut tree fringed, clear calm turquoise water and plenty of good accommodation and places to eat. Definitely the best beach in Koh Lipe if if you want to be in the thick of it all. 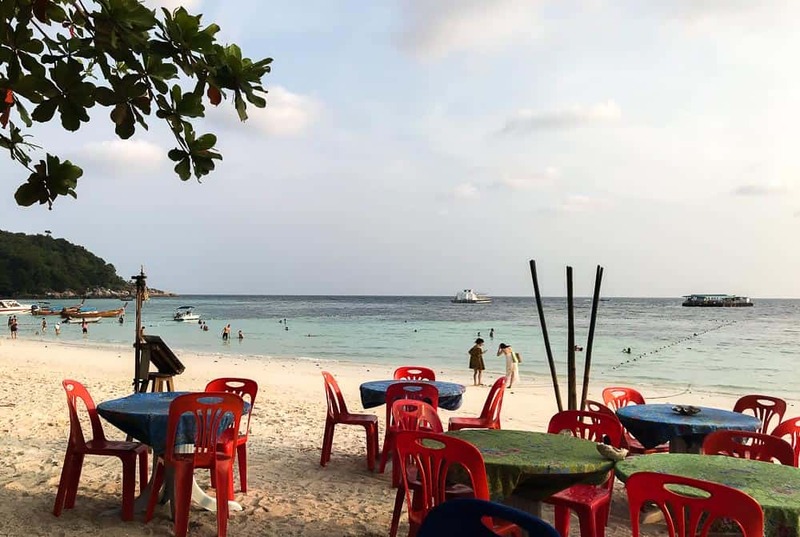 I think Pattaya Beach, Koh Lipe is the ideal beach for young families, we also found this the cleanest beach out of the three as staff from the various hotels and restaurants were constantly cleaning it. In my view Sunrise Beach, Koh Lipe is the most picturesque beach out of the three main beaches, the water here is such a bright turquoise colour you will think it has been photo shopped! There is lots of cool rustic bars along the beach here, although not as many as Pattaya. It has a quieter and more chilled out vibe than Pattaya, however I found the water here a little rougher here and not as well suited to small children. Keep in mind many of the stand alone bars and restaurants are not open at night. If you are venturing out at night be sure to take a torch as there is not much light. Sunset Beach, Koh Lipe is the most isolated beach out of the three but has the best snorkelling and a few isolated beaches. There are only a few places to stay here, you will almost feel like you have the place to yourself. We spent a lot of time here during the day swimming and snorkelling, but didn’t stay here – next time though I will definitely spend be spending a few days here. Apart from the beaches, the only other tourist area is Walking Street which stretches from Pattaya Beach through to Sunrise Beach. Along Walking Street, you will find cheap accommodation, shops, bars, restaurants and massage parlours. It’s reasonably quiet at night ( I guess because everyone is on the gorgeous beaches) but at night it gets super busy! 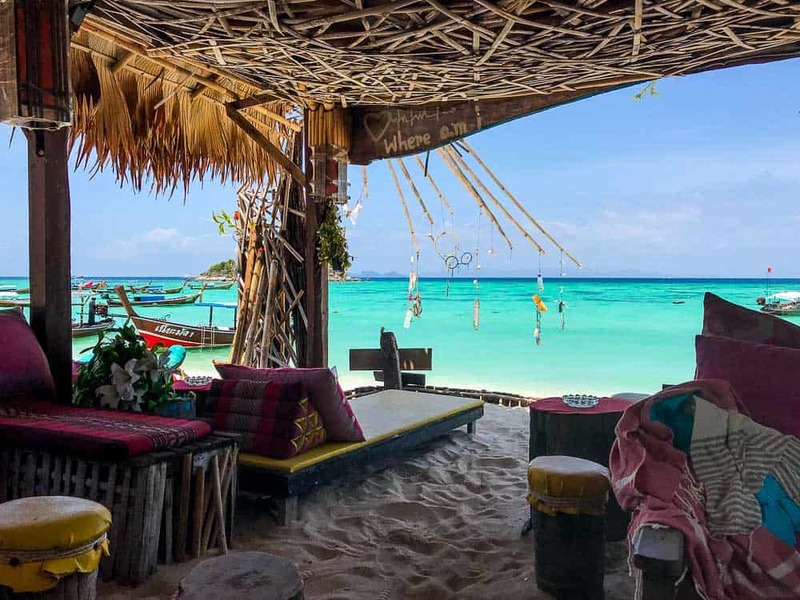 What to do in Koh Lipe? Do as little or as much as you like, you may well never leave the beach except to get something to eat which is completely fine, or perhaps you like a few more activities to keen you occupied. Below we list the main Koh Lipe activities. 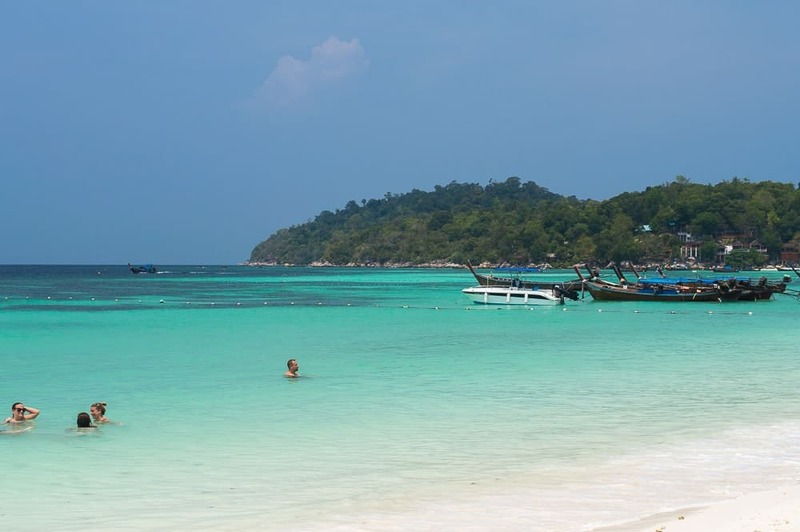 The number one Koh Lipe attraction is the gorgeous warm brightly coloured turquoise water surrounding the island. The water is for the most part calm and just perfect for families with little ones. In fact, the water is so calm that for the most part it resembles a large swimming pool, particularly on Pattaya Beach. 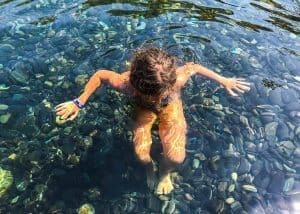 Not only is the water warm and calm, it is also crystal clear, so the kids can easily see colourful fish wriggle past their toes. Many of the shops sell floaties which are great to use in the ocean, or maybe even your hotel will have some free for guests to use. Have I mentioned how ridiculous stunning Koh Lipe is? One of my favourite things to do on Koh Lipe is to simply lie on a sun lounge and admire the gorgeous scenery. This landscape is something that I could never get bored off. Most of the beach bars and restaurants have their own sun lounges, so you can ever bar / resort hop and check out a different stretch of beach each day. Provided you buy a drink or two or something to eat you can use the sun lounges free of charge. Pattaya Beach has the most beautiful powdery white sand, just perfect for sand castle building. If you don’t bring your own sand toys, there are plenty of shops on Koh Lipe walking street where you can buy some or ask if your hotel has any left over from previous guests. We found plenty of kids building sandcastles along the beach in front of our accommodation. We rounded them all and they all built a fantastic sand castle village. You can literally step off the beaches on Koh Lipe into the water and see gorgeous brightly coloured tropical fish. Given the water is so clear you don’t even need snorkelling gear as you can see the fish from above the ocean’s surface. However, for the best view of the Koh Lipe marine life, grab yourself some snorkel gear, either bring your own, buy some from Walking Street, hire some or perhaps your hotel will lend it to you for free. Just a few metres from the shore of any of the Koh Lipe beaches you will see superb coral reefs with plenty of brightly coloured fish. My favourite Koh Lipe beach for snorkelling was off the shore along Sunset Beach. Please be careful of the coral and don’t stand on it. Also educate your kids not to stand on it so its still around for them to show their kids. There is a huge range of places to eat in Kop Lipe from basic street food, mid-range cafes to swanky restaurants. There is western food, Thai food, Italian food, Indian food and plenty of seafood. Café Lipe: Hidden away among the trees on Pattaya Beach with fantastic views across the ocean, this café is only opened during the day and serves delicious Thai food, as well as sandwiches, salads and pasta. I had the most delicious Massam Curry here! Food starts at around 120 TB up to around 250 TB for sandwiches. Family Restaurant: A basic restaurant with plastic tables and chairs directly on the beach at Pattaya, this restaurant is good for breakfast or a basic Thai meal. Food starts from 100 TB. Monkey Restaurant: A good restaurant on the beachfront at Pattaya Beach, this restaurant serves good Thai food from around 120 TB to 250 TB. After dark there is fire dancing show to watch from the basic plastic tables and chairs or the bean bags on the beach. See main picture above. Maya Bar: A super trendy bar in the middle of Walking Street. This bar has a sandy beach with colourful bean bags with cocktails costing around 200 tb. I understand that once families go to bed this is a pretty cool dance bar for all the peeps without kids. See pictured below. Thai Pancake Lady Shop 2: There are a few of these shops around Walking Street and I think we visited them all. This restaurant offers a huge range of food pretty much serving anything you like. The food is good and delivered fast. Phi Phi Bakery @ Lipe: This is a western style café / bakery in Walking Street serving delicious food and coffee. They have a western style breakfast (100-200 TB), sandwiches (95-160 Tb), pizzas (220 – 300 TB) as well as Thai food, pasta and burgers. They also have the most delicious donuts from the bakery which are super cheap at 25 TB. Passion Gastro Bar: We visited this Walking Street bar most evenings for their Australian wine during happy hour. During happy hour which is 5pm to 7pm most nights you get buy 1 get the 2nd half price as well as a free serve of sushi per drink. Sit inside or sit outside as we did and do some people watching in Walking Street. 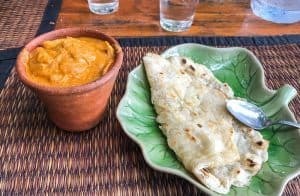 Hello India: This Walking Street restaurant serves up delicious Indian food in the Tandoori oven right before your eyes! If you love Indian food, we highly recommend Hello India. Sea La Vie Beach Bar: Super trendy rustic beach bar only metres from the ocean on Sunrise Beach. They serve a wide range of Thai food and baguettes from 150 – 200 TB. As well as playing cool tunes all day, they also have beach games which is great for the kids whilst mum and dad have a drink or two. And free WiFi – see pictured to the right. Salisa Resort Restaurant: This is a lovely restaurant in the grounds of the Salisa Resort on Sunrise Beach, whilst the service here is really poor, the food is absolutely delicious and well worth the wait. Food available is a range of Thai food and some western dishes too. Sunrise Beach Restaurant: This is a simple rustic restaurant just off Sunrise beach serving the best Thai food with just as good service. This was the best service we had on the whole island! There is no shortage of trendy and super cool beach bars to just hang out at. Some of the best ones have comfy lounges looking out over the water, swings, board games, beach games and are just great places to hang out, even for families! 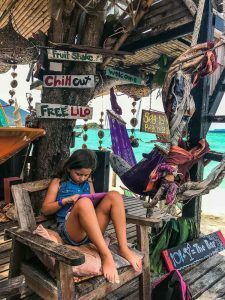 One of these beach bars is perfect if you are wanting some down time, or let the kids have some device time (most places have free wifi too!). Seriously I could have sat at some of these bars all day and worked, ate and drank whilst admiring the gorgeous views. I am not a holiday shopper, hey I don’t even like shopping much at home so can’t comment a great deal on this one! However, as we wondered up and down Walking Street I did spot quite a few little knick knack shops selling great little souvenir items as well as the odd clothing store. 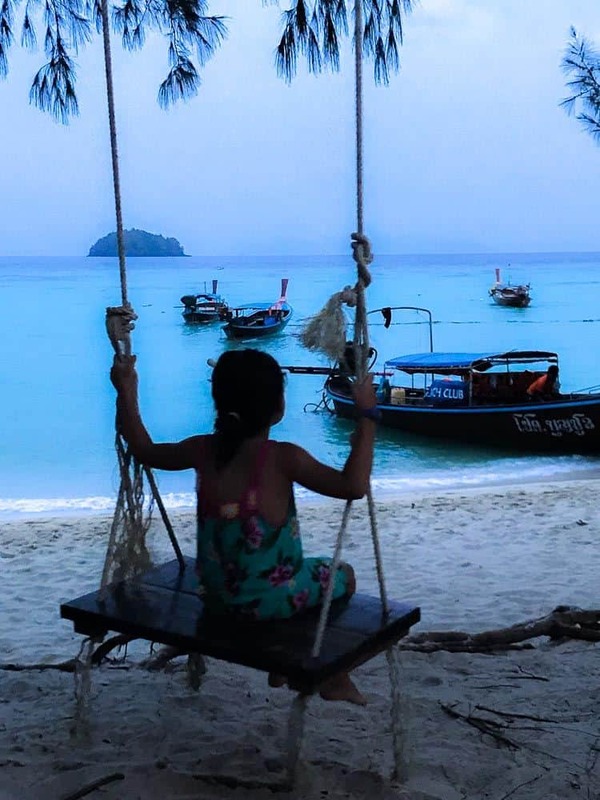 One thing I absolutely loved about Koh Lipe is not once did I get harassed to buy something off anyone – unlike many other South East Asia destinations. If diving is your thing, there are plenty of dive schools on Koh Lipe. 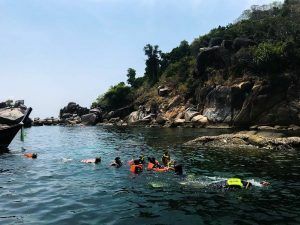 Even if you have never dived before but want to give it a go, you will be able to get your PADI Open Water certificate here and join a group to go diving. Although I would love to give diving a go, I haven’t as yet so can’t recommend any dive schools on the island. However a few that I have heard people recommend include Castaway Resort Dive Shop, Satun Dive Shop, Adang Sea Divers and BK Dive Resort. I know it sounds crazy, why would you want to leave this stunning island, but there are even more stunning islands in the region to visit! 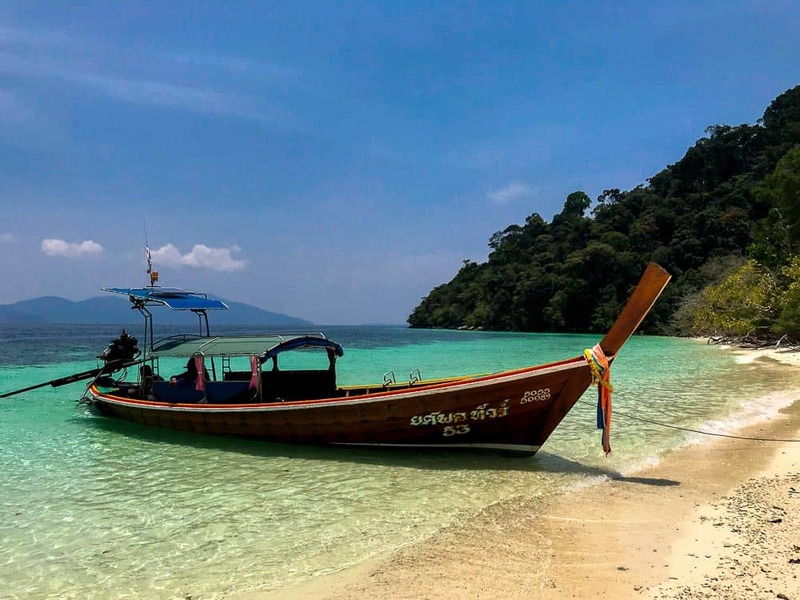 The various tour operators on Koh Lipe run four different island itinerary programs which they call program A, program B, the Sunset trip and the Plankton trip. Jabang – soft corals that cover a pinnacle that rises from 16 metres to just underneath the surface. Koh Hin Ngam: an island built out of thousands of smoothly polished black stones. 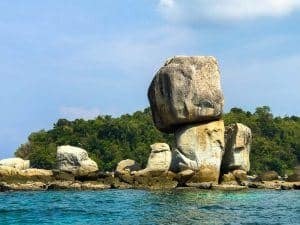 Koh Hin Sorn: See the strange rock formations which house a wide variety of soft corals and marine life. Koh Lugoi: Home to interesting corals and fish. Koh Dong: Picnic and watch the monkeys. 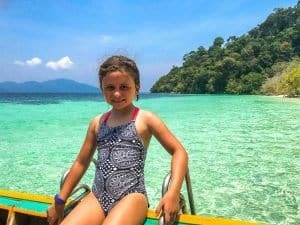 Koh Pung: Swim and snorkel. Koh Bulu: Corals and tropical fish. Koh Adang: Have a sunset diner and night swim with the glow plankton. We did the program B tour. To be honest I don’t think the snorkelling was any better than what we saw from around Sunset Beach, however it was still worthwhile to see the absolute stunning landscapes of the area and to swim in even more picturesque waters. Check out the images below! For any of the above trips you will need to purchase the National Park Fee. You can purchase this at the immigration centre when you arrive to the island or generally they will board the boats throughout your tour and you can purchase then as well. The cost is 200 TB per adult and 100 TB per child. All of the above tours include all snorkel equipment, a delicious basic Thai lunch and plenty of fruit and water. Actually see the image with Myla sitting on the boat with that crystal clear water in the background? We were swimming there when one of the guides brought us in a nice big tray of fruit – what a life swimming in the amazing water being served beautiful juicy tropical fruit! You can also hire one of the long boats privately and have the driver take you on a similar route. You will find boats for hire at the north end of Sunrise Beach. 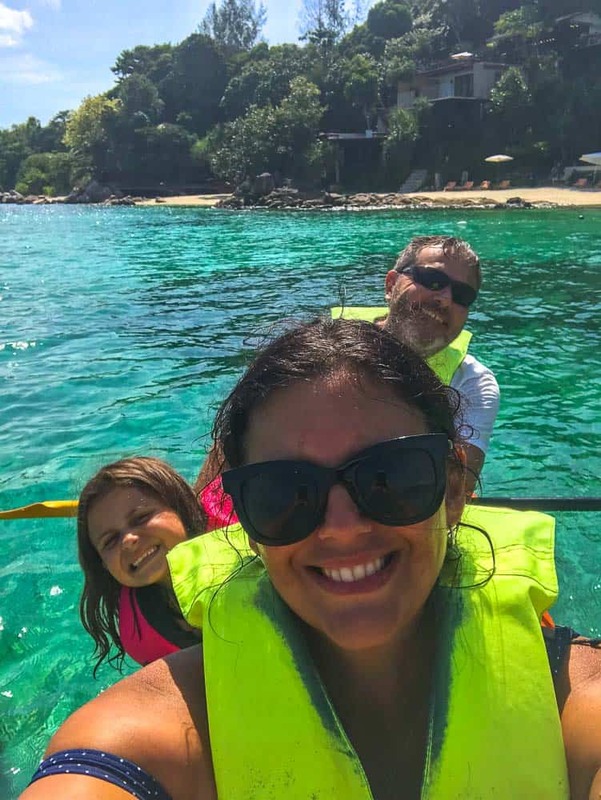 Our favourite day on Koh Lipe was the day we hired ourselves a kayak (and snorkel gear) from Sunrise Beach and paddled all the way around to Sunset beach and beyond. We stopped at a variety of little deserted beaches along the way and swam out into the ocean for some fantastic snorkelling. Whenever we felt thirsty or hungry we paddled in to one of the trendy places to eat along Sunset Beach to fill up. It was a great day and an activity I highly recommend for others. We hired a large two seater kayak which we could easily squeeze Myla into with us, plus it had a storage section for our snorkel gear and water. For those feeling energetic, arrange for one of the long boats to take you over to Koh Adang, the island directly in front of Koh Lipe. From here you hike to the top for a fantastic view. We had intended to do this, but well… we just couldn’t take ourselves away from the island. But I have heard from others that the views from the top are spectacular and that the hike is fairly easy not taking more than 40 minutes each way and doable for children. Another one of my favourite past times whilst on Koh Lipe was watching the sun set each night. We usually found ourselves on a nice beach restaurant or bar for dinner or drinks and just watched the free mother nature show. The great thing for families is given most the of restaurants and bars are directly on the beach, Mum and Dad can sit back and relax whilst the kids run about on the sand, build sand castles, use the swings (as pictured) or even have a swim if they are old enough to so without you in the water. Apparently the best beach for sunset is Sunset beach (funnily enough!). We didn’t make it over here during sunset, but add it to your list if you can. After all those exhausting Koh Lipe activities you will probably be in need of a Koh Lipe massage! 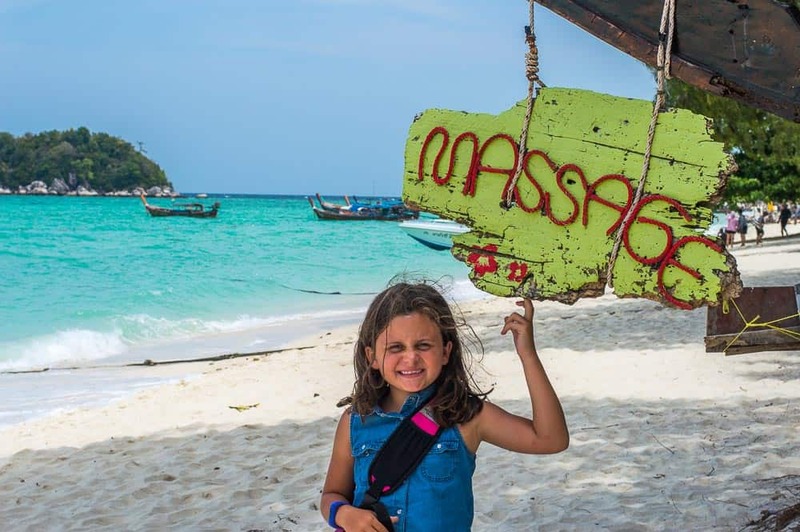 No trip to anywhere in Thailand is complete without at least a few Thai massages – and we certainly had our fair share on Koh Lipe. There are Thai massage parlours everywhere on the beach and in Walking Street. We did not really notice a difference in price, with the price for a one hour body massage being 300 TB. Koh Lipe accommodation is available on either Pattaya, Sunrise or Sunset beach as well as around Walking Street. From basic beach bungalows to up scale mid range resorts, Koh Lipe has accommodation to suit all budgets and tastes. Accommodation to fit families is fairly limited, and you will have more options if you have older children and are prepared to book two bungalows / rooms. 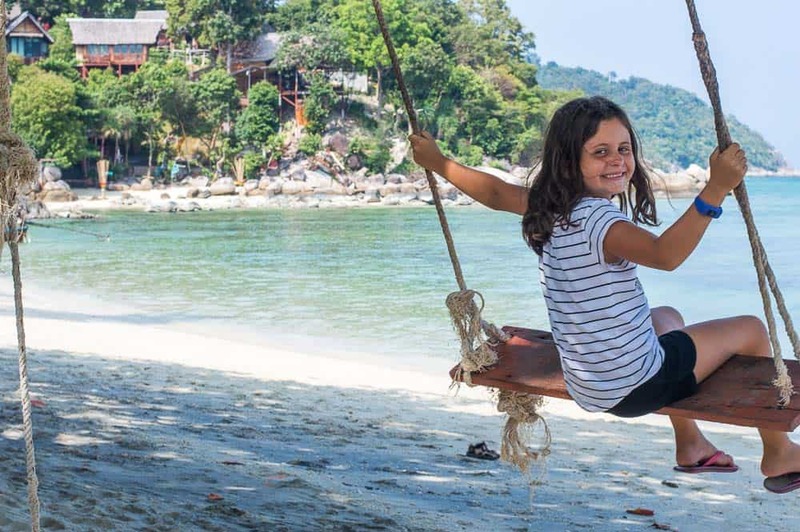 Below we look at some of the best bungalows and resorts suitable for families at the various Koh Lipe beaches. Please keep in mind the prices I have listed are subject to change and were the best price I could find at the time of publishing. Price will be dependent upon time of the time of your booking and stay. 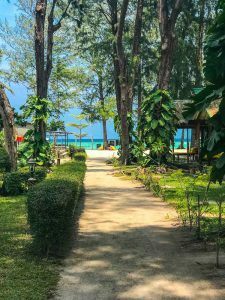 The Mali Resort Koh Lipe is a gorgeous tropical paradise located on Pattaya Beach a short walk from where the ferries dock and the entrance to Walking Street. 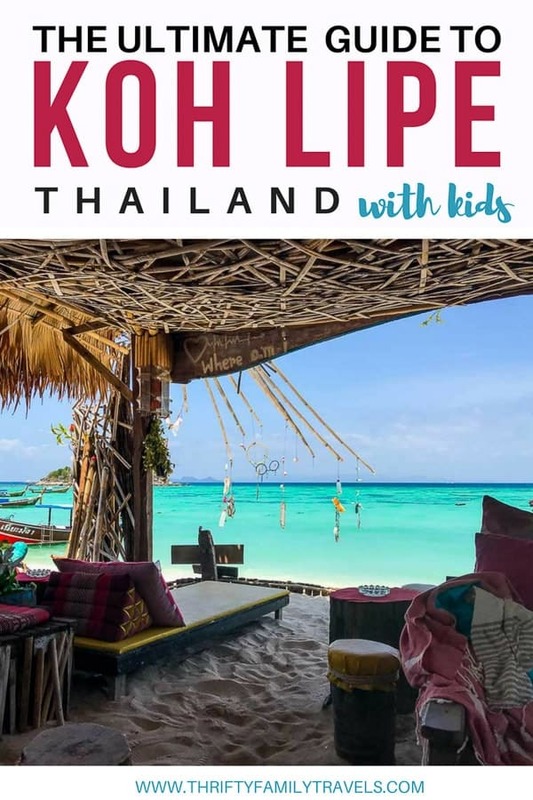 I think this is a great choice for families wondering where to stay in Koh Lipe. At the time of publishing the best rate for 2 adults and 2 children was $208 per night in a family chalet on Booking.com in a garden view bungalow which can accommodate up to three beds and includes breakfast. Click here to check pricing and / or to make a booking at the Mali Resort. If having a swimming pool is important to you, than the Bundhaya Resort is a great choice. Located on gorgeous Pattaya Beach a short walk from where the ferries dock and the entrance to Walking Street. At the time of publishing the best rate for 2 adults and 2 children was $200 per night for 2 x superior bungalows on Booking.com including breakfast. If you only have 1 child you can book a deluxe room with a double bed and sofa bed for $141 per night including breakfast or contact the resort directly to see if their 2 bedroom family suite is available. Click here to check pricing and / or to make a booking at the Bundhaya Resort. For the original Thailand style beach bungalow type places to stay in Koh Lipe, then the Green View Beach Resort is the ultimate experience. Located on gorgeous Pattaya Beach a short walk from where the ferries dock and the entrance to Walking Street. 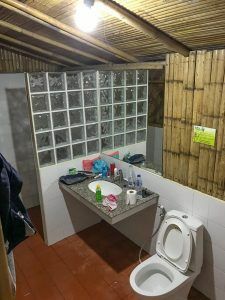 We spent a few nights at this Koh Lipe bungalow and absolutely loved it! For a taste of a Koh Lipe luxury hotel, be sure to visit Akira Resort next door for 2 for 1 cocktails and free use of the swimming pool between 4 – 7 pm. At the time of publishing the best rate for 2 adults and 2 children was $156 per night for a garden view family bungalow ( 1 double and 2 single beds) on Agoda. If you only have 1 child or don’t mind sharing a bed splurge and get the beachfront bungalow (1 double and 1 single ) for $126 per night. Click here to check pricing and / or to make a booking at the Green View Resort. 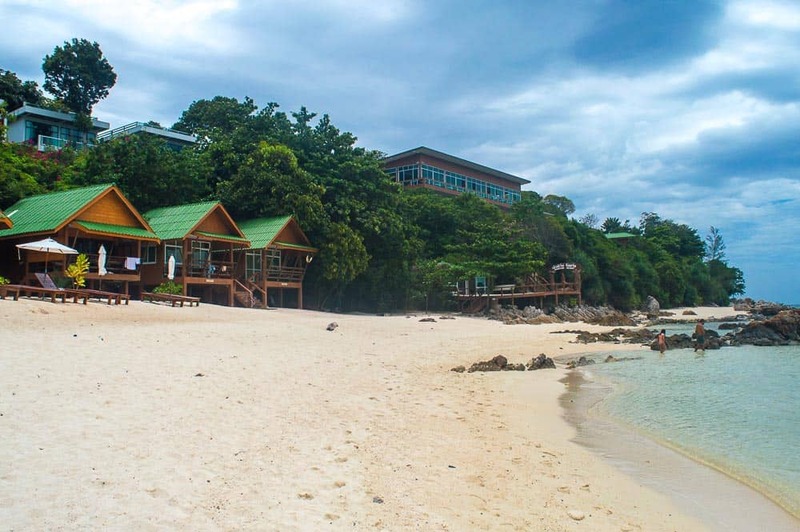 Another resort on Pattaya Beach is the upmarket and newly renovated Akira Lipe Resort, a trendy Koh Lipe luxury resort. This resort is located on gorgeous Pattaya Beach a short walk from where the ferries dock and the entrance to Walking Street. 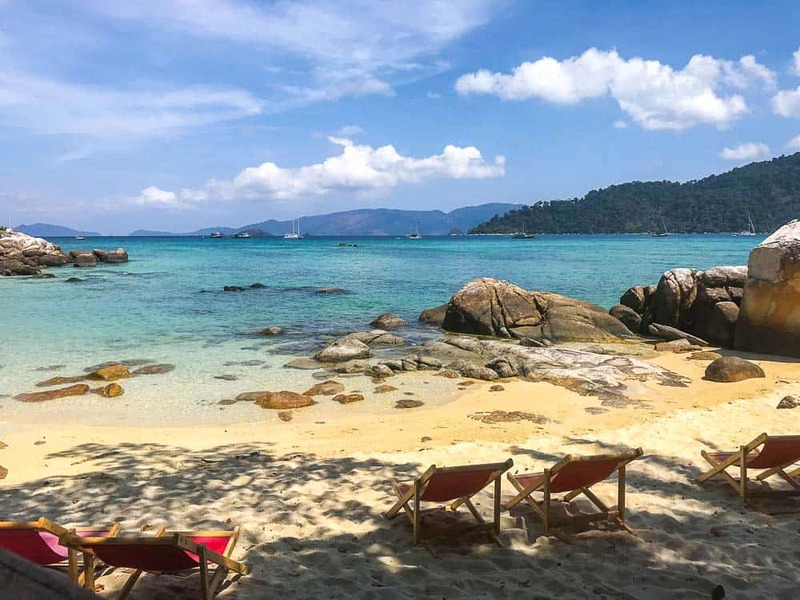 At the time of publishing the best rate for 2 adults and 2 children was $216 per night for a Koh Lipe villa suite ( 1 double and sofa bed) on Booking.com including breakfast. Click here to check pricing and / or to make a booking at the Akira Lipe Resort. 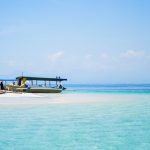 During our stay on Sunrise Beach we stayed at Salisa Resort, a lovely little resort with a range of accommodation options from basic rooms to more luxurious two story villas. It is on a gorgeous stretch of beach and only a 2-3 minute walk to Walking Street. Rooms here are lovely and modern, although it was a bit small for the 3 of us. Breakfast is nice with a choice of eggs, bacon, cereals, fruit and tea and coffee. The onsite restaurant serves up delicious thai and western food and their is a bar out the front with fantastic views across the ocean. The Salisa Resort is suitable for families with 1 child or families with older children as rooms only accommodate up to 1 child with 2 adults and so families with more children would require 2 rooms. At the time of publishing the best rate for 2 adults and 1 child was $114 per night for a garden view bungalow ( 1 double and 1 single bed) on Agoda including breakfast. Click here to check pricing and / or to make a booking at the Salisa Resort. On a side note: We checked out we were asked to pay for a broken kayak paddle, which we did not break. I won’t go into the details, but it left a poor impression with us with regards to the resort – but other that we really enjoyed our stay here. 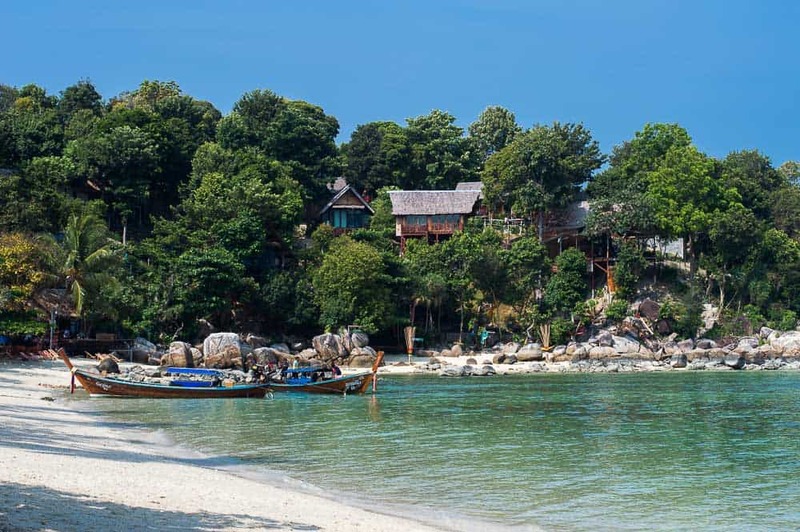 One of the highest rated resorts on Koh Lipe is the Ten Moons Lipe Resort. Located in what is said to be one of the best spots on the island for snorkelling, the location is peaceful, although some what isolated for those wanting to be close to other restaurants and bars, but still only a 5 minute walk away from Walking Street. At the time of publishing the best rate for 2 adults and 2 children was $122 per night for a garden view room ( 1 double and sofa bed) on Agoda including breakfast. 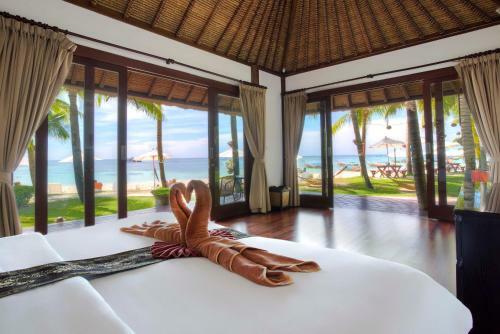 Why not splurge and get the beachfront room for $158 per night. Click here to check pricing and / or to make a booking at the Ten Moons Lipe Resort. 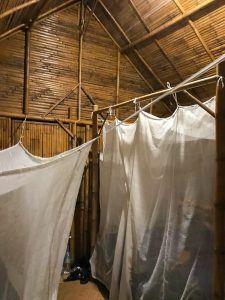 Castaway Resort Koh Lipe is a great option for those wanting to get back to basics and stay in a no fuss Thai bungalow. Surrounded by a few bars and restaurants and a short walk to Walking Street. The stairs are quite step so wouldn’t suit small children. At the time of publishing the best rate for 2 adults and 2 children was $56 per night in the family bungalow ( 1 double and 2 singles) on Agoda. Click here to check pricing and / or to make a booking at Castaway Koh Lipe. If you want a reasonably priced hotel with a swimming pool, then Anda Resort Koh Lipe is a good option. This resort is located close to Ten Moons Resort on the southern end of Sunrise Beach and only a short 5 minute walk to Walking Street. At the time of publishing the best rate for 2 adults and 2 children was $226 per night in connecting standard rooms on Agoda including breakfast. If you are a family of three, one standard room can accommodate all of you for $113 per night. Click here to check pricing and / or to make a booking at the Anda Resort. 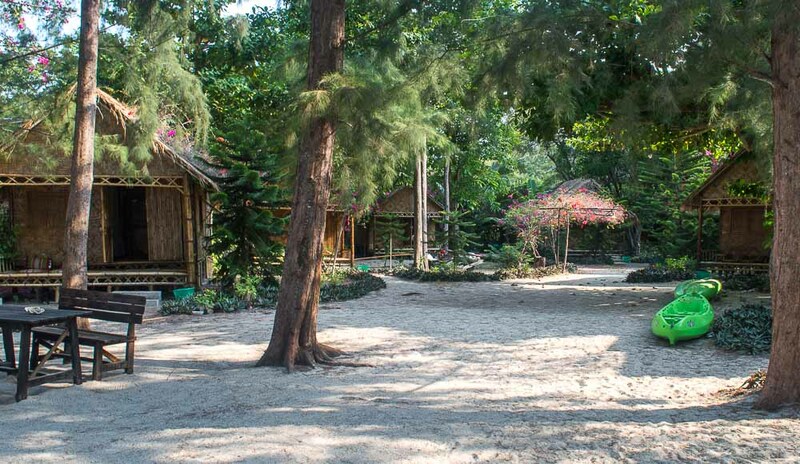 Situated at the north end of Sunrise Beach, Andaman Resort Koh Lipe offers good value accommodation, and is only a 5 minutes from the north end of Walking Street. 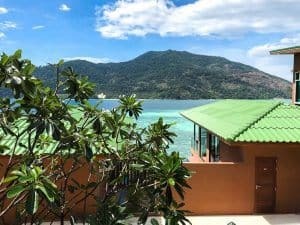 Only 37% of people on TripAdvisor rate the Andaman resort Lipe as excellent or very good, however upon inspection I certainly wouldn’t let this rating put you off, once again I think if offers great value for money and stunning views! At the time of publishing the best rate for a family garden view villa for up to 6 people was from $115 per night including breakfast directly with the hotel. Click here to check pricing and / or to make a booking at the Andaman Resort. For our last few nights on Koh Lipe we splurged a little and stayed at the gorgeous Mountain Resort Koh Lipe. Situated at the very north tip of Sunrise Beach, Mountain Resort offers accommodation in a gorgeous setting. It is a little isolated here, however the resort does offer free transport in and out of town each night. At the time of publishing the best rate for a family of 2 adults and 2 children was $354 per night including breakfast on Agoda in a family bungalow with 2 double beds. If you are only a family of three you can get away with a standard room with an additional bed for $152 per night. If you really want to splurge there are some stunning rooms here, even bungalows with their own private swimming pools. Click here to check pricing and / or to make a booking at the Mountain Resort. If your looking for luxury on a budget, then Asara Private Beach Resort might be for you. For an excellent rate you can even get a room with a private spa on the terrace! At the time of publishing the best rate for a family of 2 adults and 2 children was $365 per night on Booking.com in a grand deluxe ocean view room with 2 large double beds and a private spa as well as including breakfast. Click here to check pricing and / or to make a booking at the Asara Private Beach Resort. 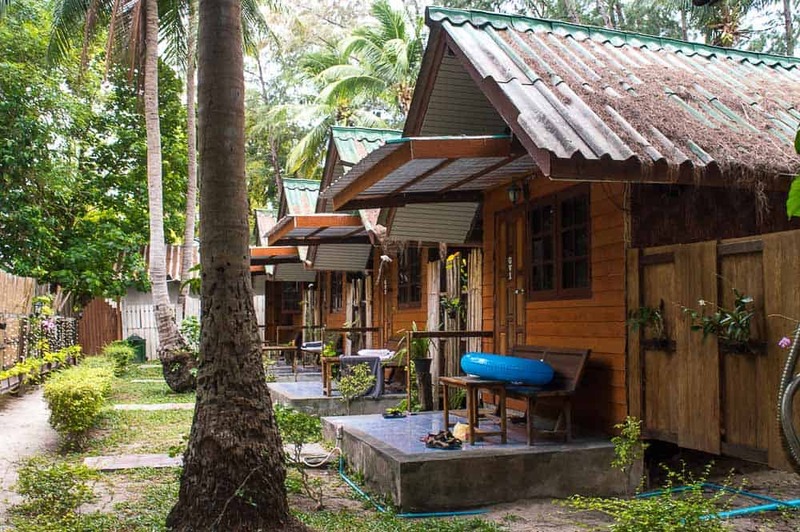 If your looking for something a bit more rustic and affordable on Sunset Beach, Raya Resort is a good option. 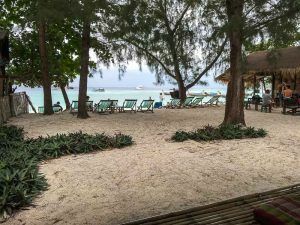 Like all accommodation on Sunset Beach, this resort is fairly isolated with at least a 10-15 minute walk into Walking Street or Pattaya Beach where there are other shops and restaurants. Bay View Sunset Restaurant is really close which I recommend. 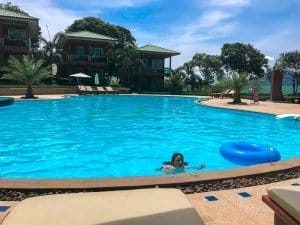 At the time of publishing the best rate for a family of 2 adults and 2 children was $105 per night on Booking.com in a family villa with 2 large double beds and air conditioning. If you can forgo the air conditioning rooms are from $62 per night with a fan, or pay $117 per night and get a sea view bungalow with air conditioning. Click here to check pricing and / or to make a booking at the Raya Resort. If you want to stay in the ultimate luxurious family accommodation with plenty of room and in an absolute stunning location – then the Cliffe Sunset Beach Resort is for you. This is an extremely isolated location on Sunset Beach and it is at least a 20 minute walk into Walking Street, but seriously why would you ever want to leave? At the time of publishing the best rate for a family of 2 adults and 2 children was $582 per night including breakfast on Booking.com in a 2 bedroom family villa. Click here to check pricing and / or to make a booking at the Cliffe Sunset Beach Resort. Being a little further off the mainland, getting to Koh Lipe can be a bit tricky, but it is well worth it! To get to Koh Lipe you will first need to make your way to either Thailand or Malaysia. Note: There is no jetty at Koh Lipe, so the Koh Lipe ferry docks a few hundred metres from the ocean and you have to swim the rest of the way. Ha ha ha – just joking! Long boats come out to meet the ferries and bring passengers to the sure. You do need to wade through knee deep water to reach the island. Whilst there are plenty of staff their ready to help with heavy bags and children, I highly recommend you pack lightly and have backpacks that you can easily carry yourself – no large heavy suitcases. The easiest way to get to Koh Lipe from Malaysia is to make your way to Langkawi. To get from Langkawi to Koh Lipe in you will need to take a boat to Koh Lipe from either Telaga Harbor or Kuah. However this route is only available between the months of October to May. The boat from Langkawi to Koh Lipe takes 90 minutes. The ferry leaves Langkawi at 9.30 am and 12.30 pm (Malay time) daily. The ferry leaves Koh Lipe at 10.30 am and 4.30 pm ( Thai time) daily. Just remember that Thai time is 60 minutes behind Malay time. At the time of publishing the Langkawi to Koh Lipe ferry price was between 110.00 to 128.00 RM. The ferry leaves Lankgawi at 9.45 am and 2.30 pm (Malay time) daily. The ferry leaves Koh Lipe at 11 am and 3.45 pm (Thai time). At the time of publishing the Langkawi to Koh Lipe ferry price was 118.00 RM per adult and 100 RM per child. We took the ferry from Telaga Harbor to Koh Lipe and found the ride very comfortable. You are required to hand over your passports before boarding, which is a bit scary, you then obtain them at the immigration centre once getting to Koh Lipe. The whole process is fairly straight forward and very well organised. I highly recommend you double check the above times, as they may be subject to change. Check ferry schedules and book tickets online here to get to Koh Lipe from Langkawi. You can also book your tickets from one of the various travel agencies in Langkawi or Koh Lipe, which is what we ended up doing. 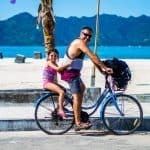 Looking at combing your trip to Koh Lipe with Langkawi? Click here for all our tips on things to do and where to stay in Langkawi. To go from Bangkok to Koh Lipe, it is best to make your way to Hat Yai, this is the nearest airport to Koh Lipe. From here take a mini bus to Pak Bara and then catch a ferry to Koh Lipe. You can purchase your flight, mini bus and ferry tickets as a joint ticket – click here to book online. If you looking at ways to come to Koh Lipe from other parts of Thailand or from one of the nearby islands there are various ferries that will take you to Koh Lipe. Ferry schedules can change throughout the year depending upon the season, so instead of giving you a bunch of times that may change, I highly recommend you click here to check the timetable as well as to make your booking. You can also book your tickets from one of the various travel agencies in Thailand. Koh Lipe is a fairly small island and you can pretty much walk wherever you like. However if you go when its super-hot and humid you may find yourself quickly tiring. The other option of getting around the island is via motorbike taxi, either get your hotel to call one or flag one down in walking street. The motorbike taxis have a side cart so can fit a couple of people as well as luggage. It costs 50 TB per person to anywhere on the island. Some hotels on the island have their own vehicle which they use to transport people around, so check this first as may come and pick you up from the ferry terminal or your previous hotel for free. Despite old information on old websites, there are plenty of ATM’s throughout Walking Street so no need to be concerned there – you can access your money if you need to get out more. There are also plenty of money changers around the place – ask someone if you are not sure where. There are a few little convenience stores selling everything you might need on the Island, including a few pharmacies if you need any medical type supplies. Washing per kilo: 60 TB – Unlike other south east Asian destinations I didn’t notice a stack of these places and had to ask someone. Want to Continue your Island Hopping Trip? 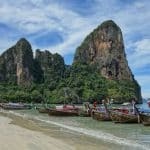 If you will be continuing your Thai Island hopping from Koh Lipe some nearby and easy to get to islands include Koh Ngai, Koh Lanta, Koh Phi Phi and Phuket. You can also easily reach the Malaysian island, Langkawi from Koh Lipe. Just note that this option is only available between the dry / high season. Click here to check a range of ferry routes so you can plan your island hopping trip. 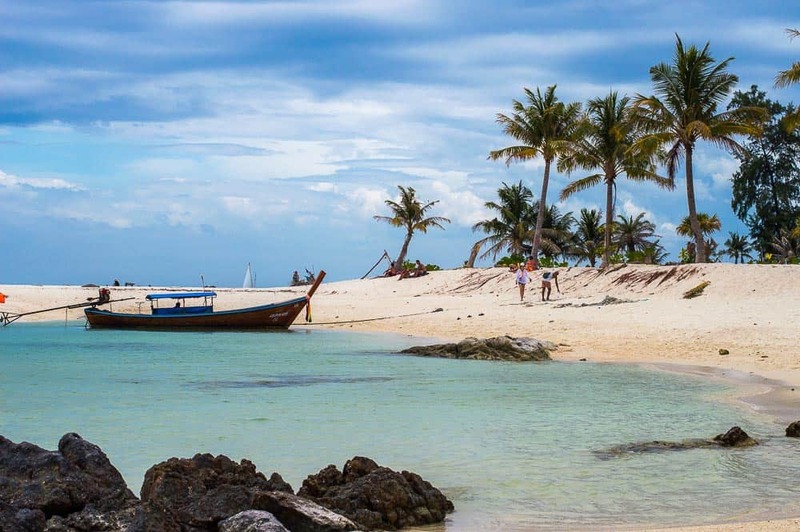 Click here for tips on other Thai Islands for your island hopping trip. Please note that this post contains affiliate links, which means that should make any bookings using my links, I may be paid a small commission at no extra cost to you. This allows me to provide this information free of charge – thank you for supporting our website. Click on one of the images below and save it to Pinterest.